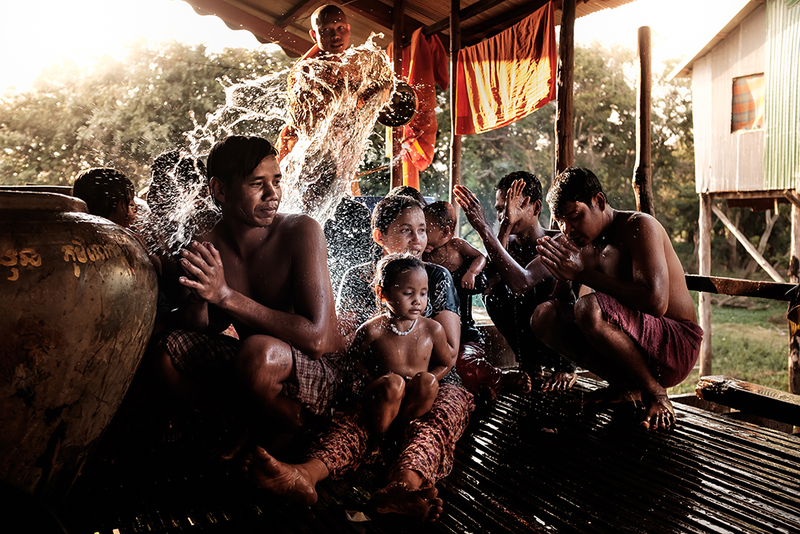 Travel deeper than ever before into Siem Reap’s best-kept secrets in our join-in photography workshops in Cambodia. 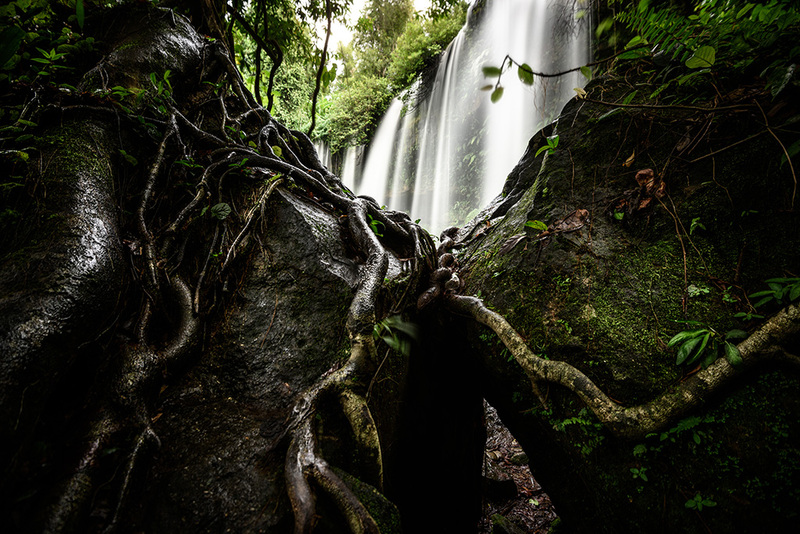 Join us for a 10-day adventure in Siem Reap and the surrounding areas. Our 10-day photography expedition takes in the very best of Siem Reap Province, from the most supreme of the Angkor temples to her best-kept secrets; lose yourself in a sea of smiles in the city’s sprawling local markets and the remote villages on the Tonle Sap lake; bask in the luxuriant green of the rice paddies in planting season; marvel at towering jungle waterfalls; and gain privileged access to modern Khmer performing artists from daredevil acrobats to mystical apsara dancers – all of this in the best light. Dec 11-20, 2018 – 3 spots left!Looking for more dates? Why not explore our exciting new 12-day adventure tours? Fix rate at USD $2,300 (single supplement $600). We believe in quality, personalised tuition, and so our host-to-guest ratio is always 1:5 or better. 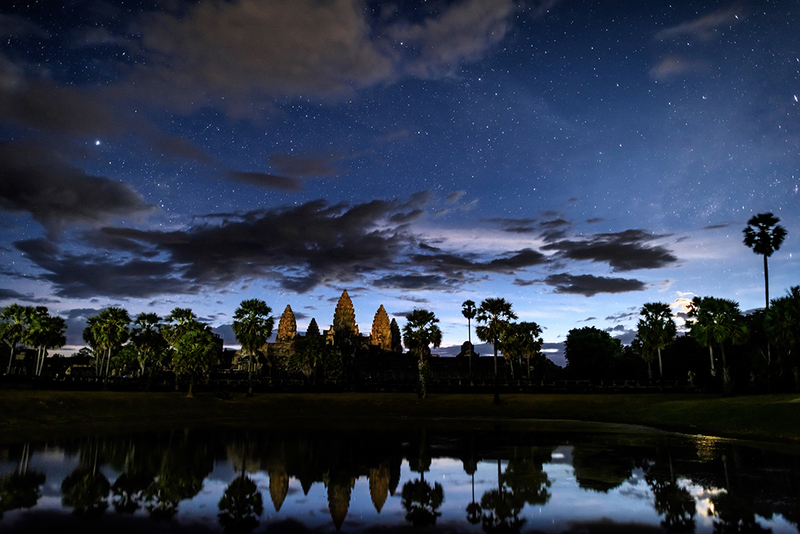 On day one you’ll arrive in Siem Reap, Angkor Travel Photography team will pick you up at the airport. 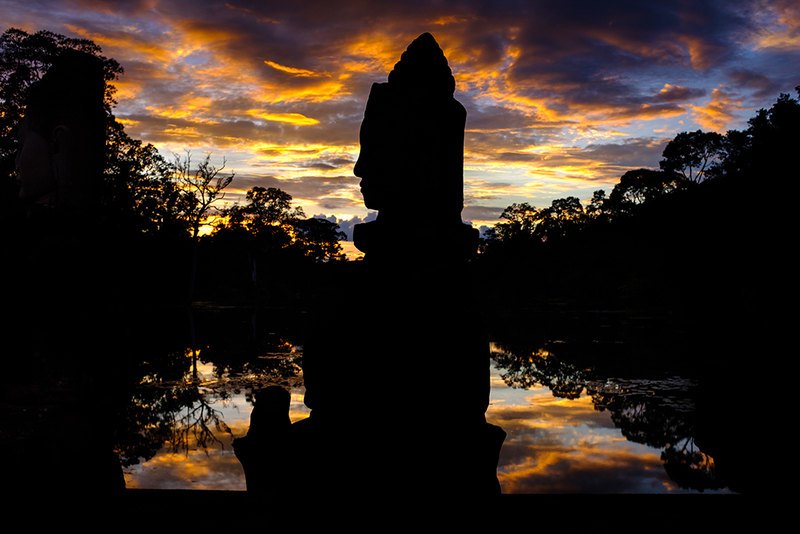 According to your arrival time, in the late afternoon we will join the sunset inside the Angkor Archaeological Park. We’ll get to know each other a little better and set the scene for the rest of the trip over a delicious welcome dinner in the evening. Day two will be spent exploring the wonders of Angkor, including Ta Prohm and Angkor Thom with the Bayon and her 200+ smiling faces. 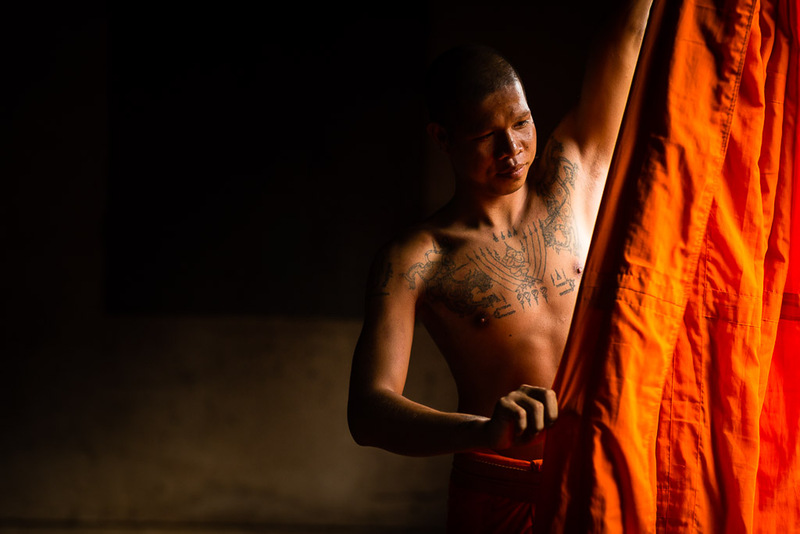 We’ll also have the unique chance to observe orange-robed monks and their unique buddhist rituals at one of the least-known pagodas within Angkor. 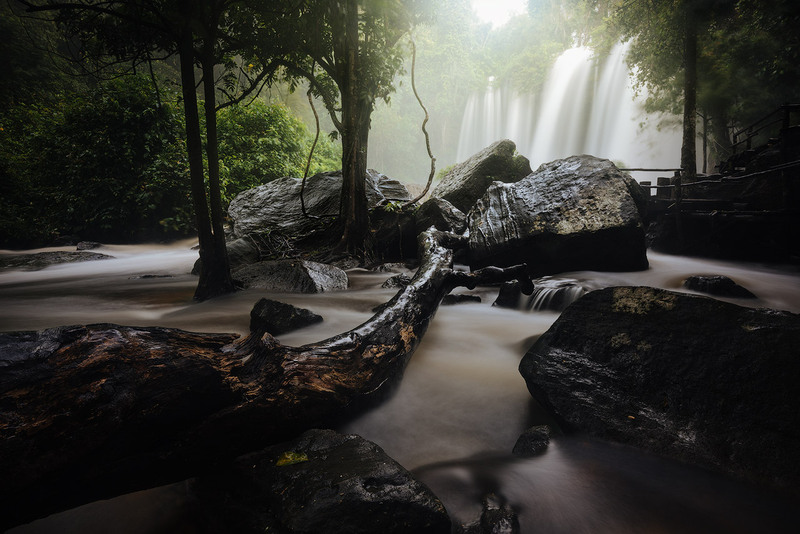 Day three will be spent among the pre-Angkorian findings at Mount Kulen; here we’ll marvel at the towering waterfall, the ancient reclining Buddha at the pagoda at the mountain top, and enjoy a picnic by the river of 1,000 linga. Day four starts with what is arguably the most iconic site in Cambodia: the sun rising over the silhouetted towers of Angkor Wat. 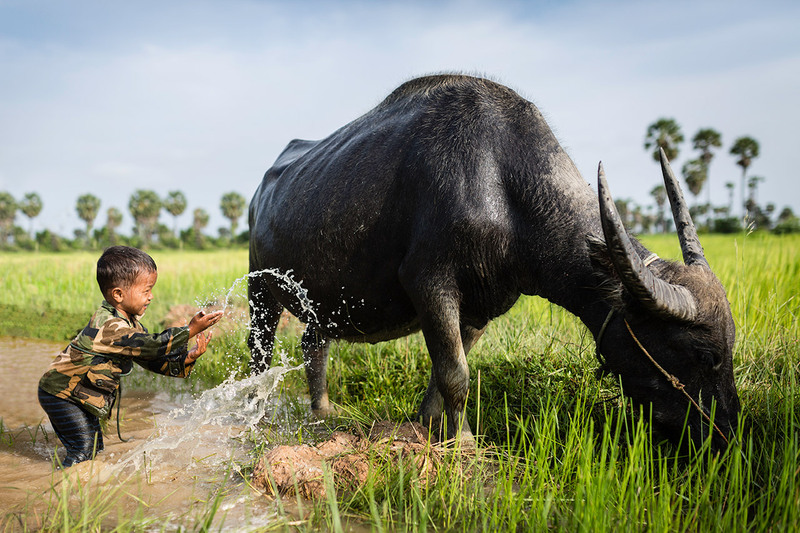 We’ll spend the remainder of the morning exploring the lush green of the countryside where we’ll see the local people busy with rice-planting season before a long, relaxing lunch. 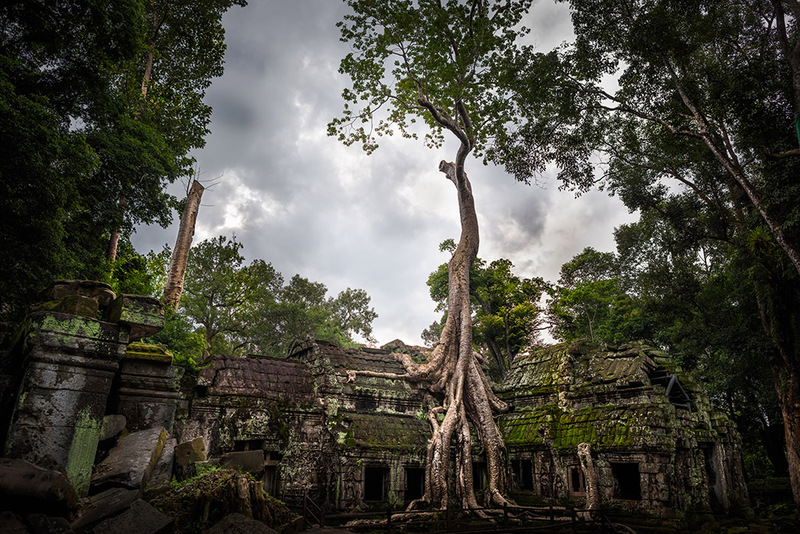 The afternoon will be spent among some of the lesser-visited temples of Angkor, and the evening among the myriad of vendors selling street food at a local night market. Day five begins in a more leisurely fashion with an image review and post-processing session at the hotel. 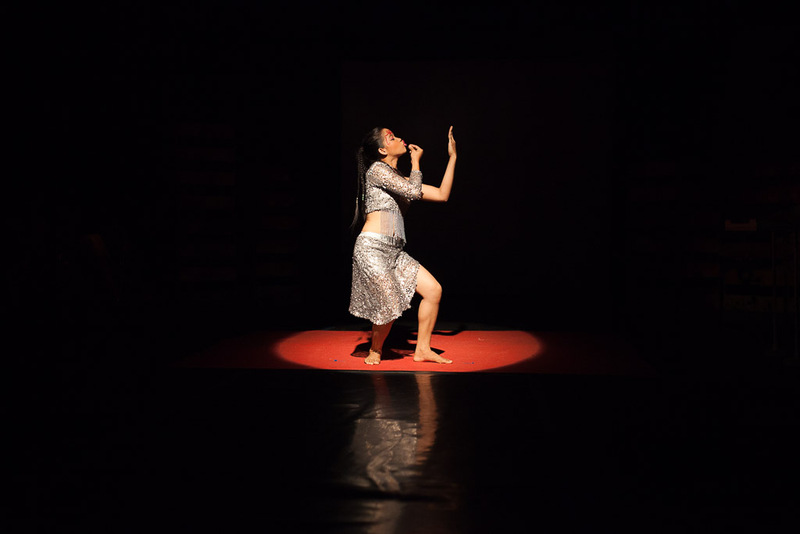 Spend the afternoon with privileged access to one of Cambodia’s most exciting modern performances, Phare, The Cambodian Circus; we’ll shoot the rehearsal and make-up, and afterwards have reserved VIP seating from which to photograph the show. 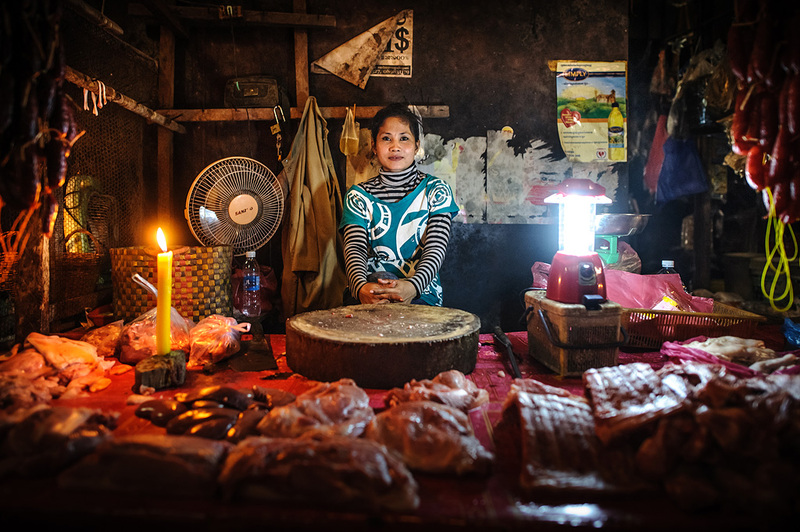 Day six starts at one of the town’s most vibrant local markets before calling in at Siem Reap’s oldest buddhist monastery where we can witness the lives of the resident monks. 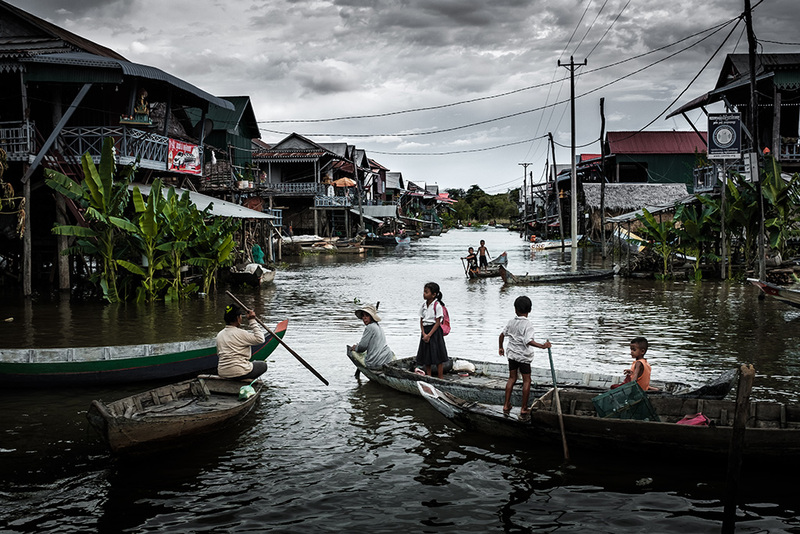 We round off our photo adventure with the amazing stilted city of Kampong Phluk where we’ll take in an entirely different way of life on the lake and finish with the sunset before we say our goodbyes at our farewell dinner. Day seven begins with a lesser-known but no-less beautiful sunrise, witnessing the local fisherman casting nets into a centuries-old reservoir. 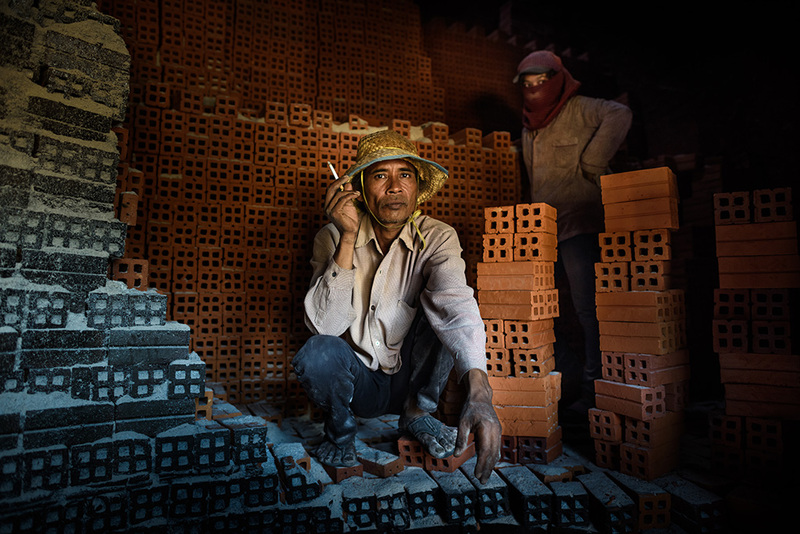 We’ll spend the rest of the morning exploring some of the most unique photographic opportunities Siem Reap has to offer, including a trip to an incredible brick factory and to see the spider hunters of northern Siem Reap province. 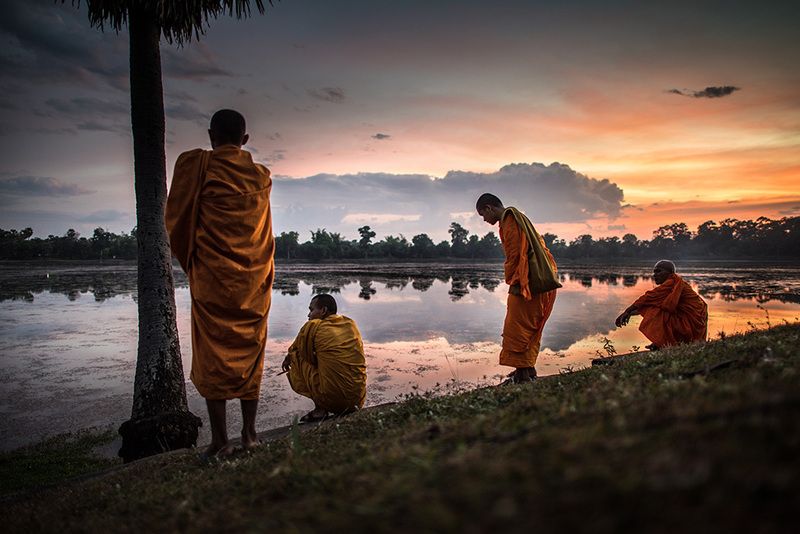 We’ll spend the afternoon in the vibrant green of the Cambodian countryside. The morning of day eight sees us chancing our luck at some of the more remote pagodas in the area, where we’ll have a chance to more intimately experience the lives of the monks who live there. 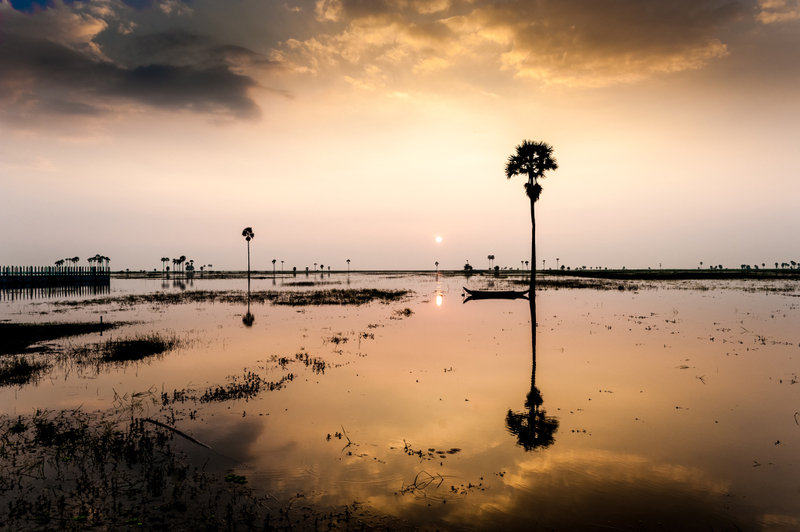 The afternoon will be spent exploring Mey Chrey, a remote part of the countryside that will be flooded this time of year, making for a beautiful vista of palm trees reflected in the paddy. We’ll remain here for a sunset free from other tourists. 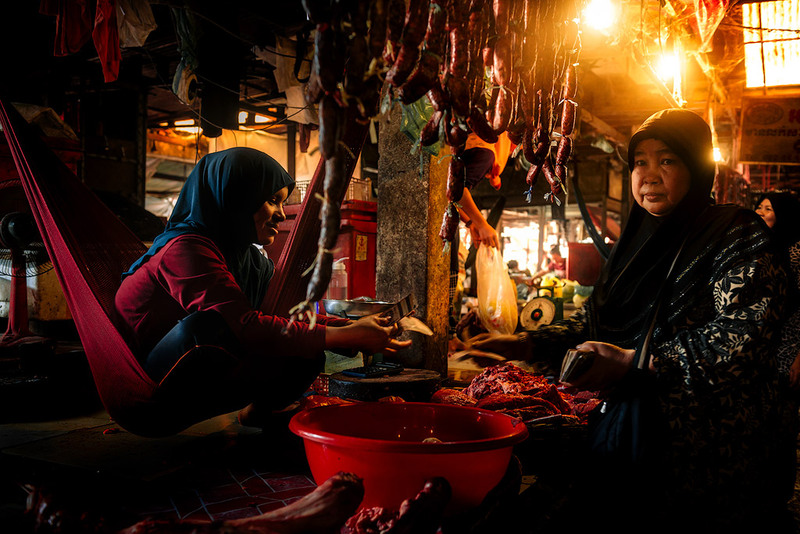 Day nine begins with one of Siem Reap town’s most incredible markets, the sprawling Phsar Leu, home to a host of colourful characters and produce unimaginable. 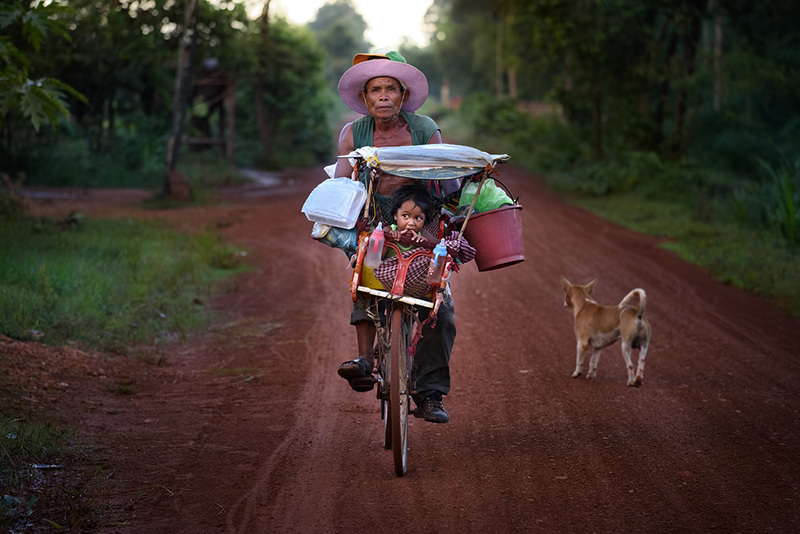 Once you’ve had your fill of photographing (or maybe haggling with) the wide-smiled local sellers, we’ll head into the countryside to witness a Cambodian family preparing traditional foods. We’ll even be able to stay for lunch before heading back to Siem Reap to unwind with a massage before we review our images for the week and say farewell at a delicious evening dinner.